BSAI majors will take courses in math and statistics, computer science, AI, science and engineering, and humanities and arts. There's also room built into the curriculum for academic exploration via electives. Here's how the curriculum breaks down. If not available, 21-127: Concepts of Mathematics can be substituted. 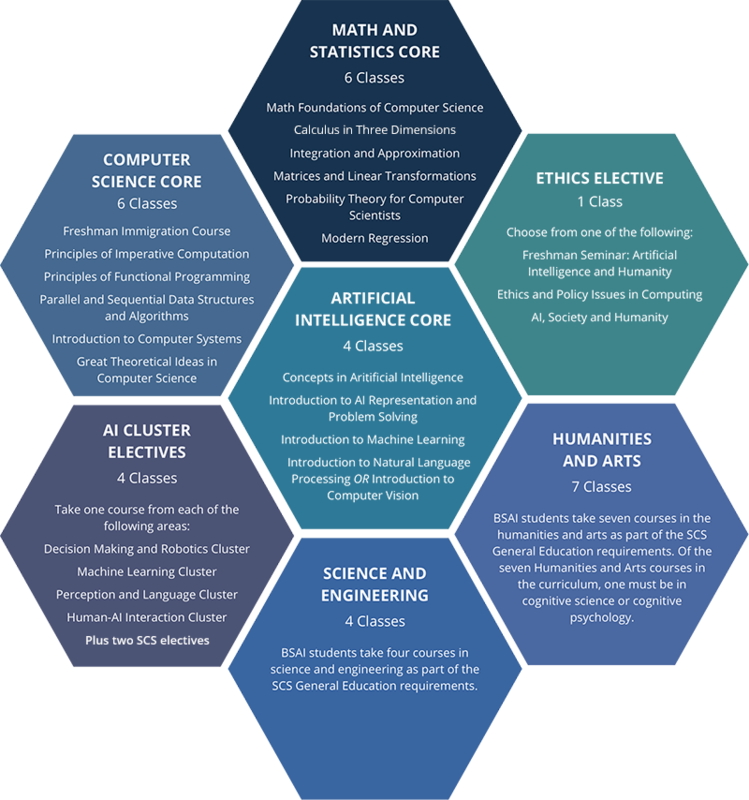 BSAI students take two electives within the School of Computer Science. BSAI students take four courses in science and engineering as part of the SCS General Education requirements. Your experience may vary, but this table represents a typical student's progression through the program. Are you an SCS student interested in applying for the BSAI program?